Sweet Woodruff Syrup is called Waldmeistersirup or Maikrautsirup in Germany. Sweet Woodruff Syrup may be utilized in many recipes for spring and May Day celebrations. Note: Harvest the Sweet Woodruff before its flowers starts to bloom. 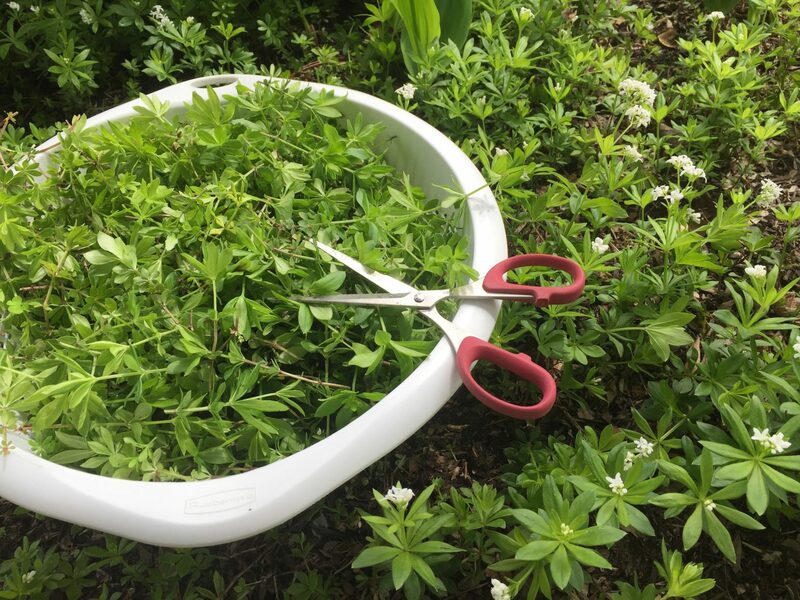 Wash the sweet woodruff in a colander and spread it on kitchen paper towels. Let the woodruff dry overnight or for two days if you want a more bold flavor. 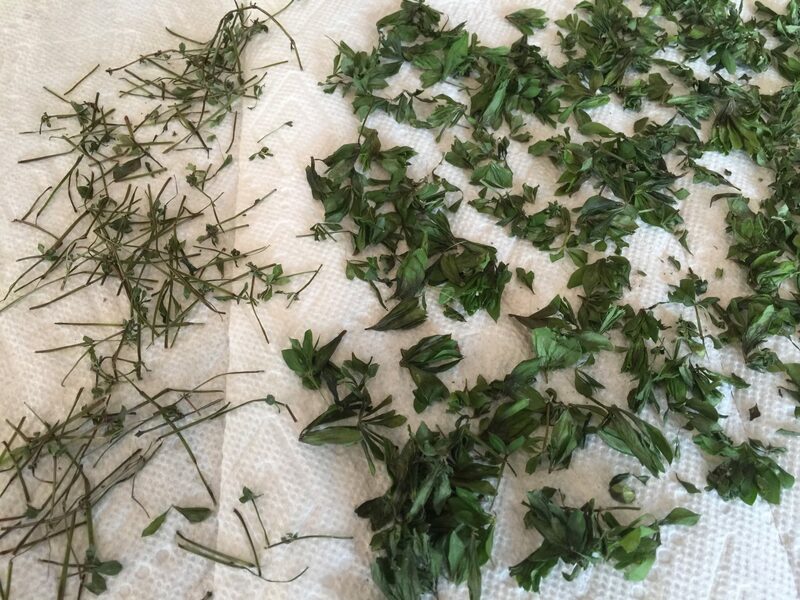 Remove the leaves from the stems and set aside. 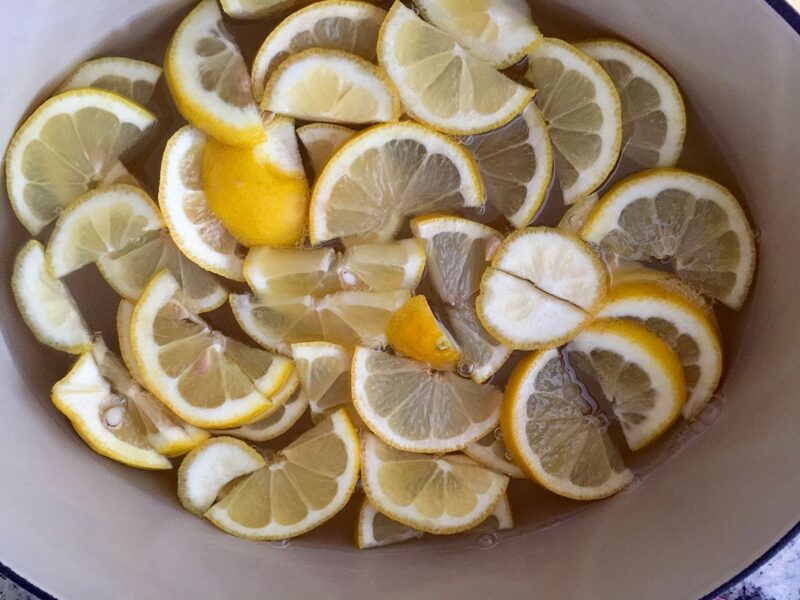 Wash the lemons, cut them into slices and set aside. 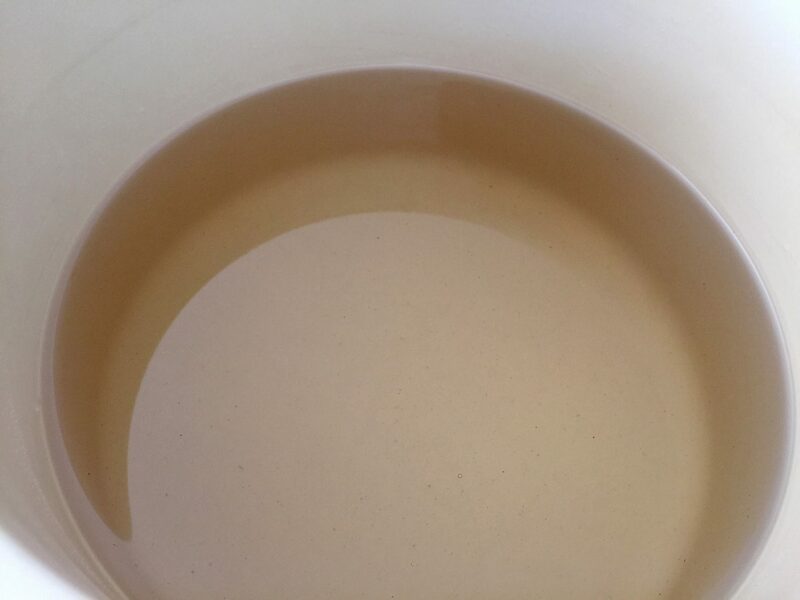 Add water and sugar to a saucepan and bring to a boil. Stir until the sugar is dissolved and the water is clear (about 10 minutes). 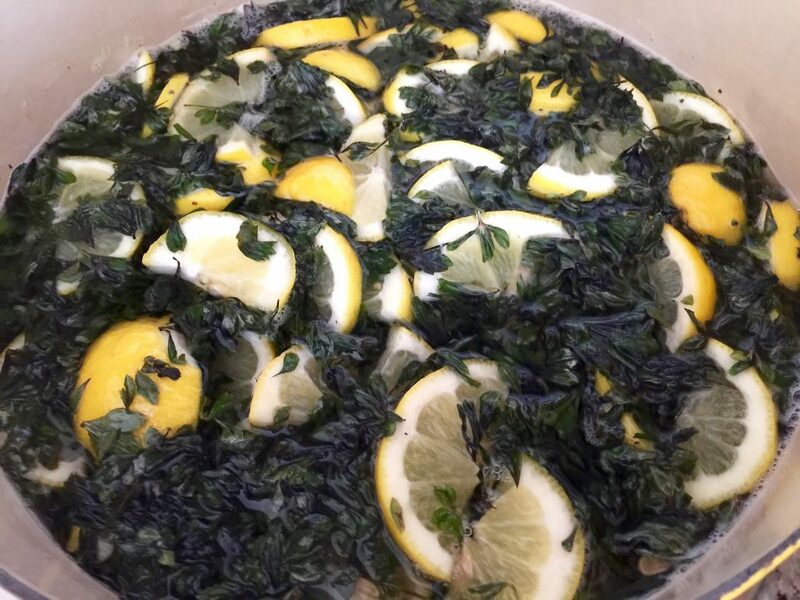 Turn off the stove and add first the lemon slices and than the sweet woodruff leaves to the saucepan. Cover the saucepan and let the woodruff sit overnight or for two days if you want a more intense flavor. Do not let it sit more than two days. 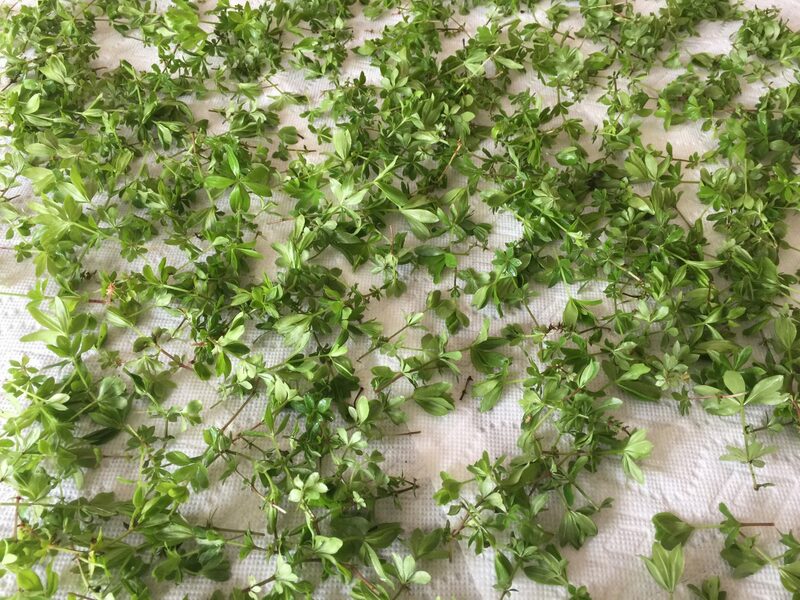 Pour the sweet woodruff through a cheesecloth and into a large saucepan. The color of the syrup is clear and transparent. 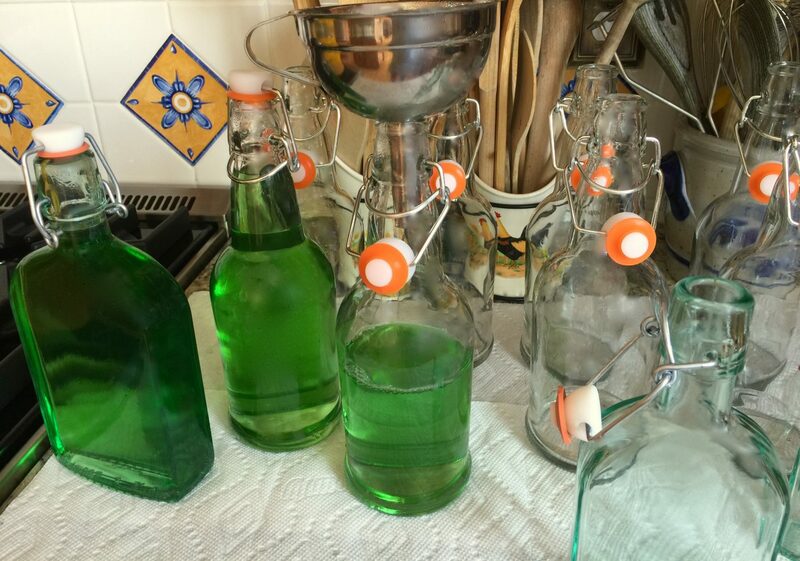 If you want a more woodruff-like color, add some drops of green food coloring to it. Bring the syrup to a boil and then turn down the heat and stir from time to time. Let it simmer gently for about 6–8 minutes. To preserve the syrup, I like to use the glass bottles with swing-top caps. (I purchased mine from Home Goods but you can easily find them online at Amazon or at the Container Store). Wash the bottles very thoroughly with hot water. Place them next to your stove. 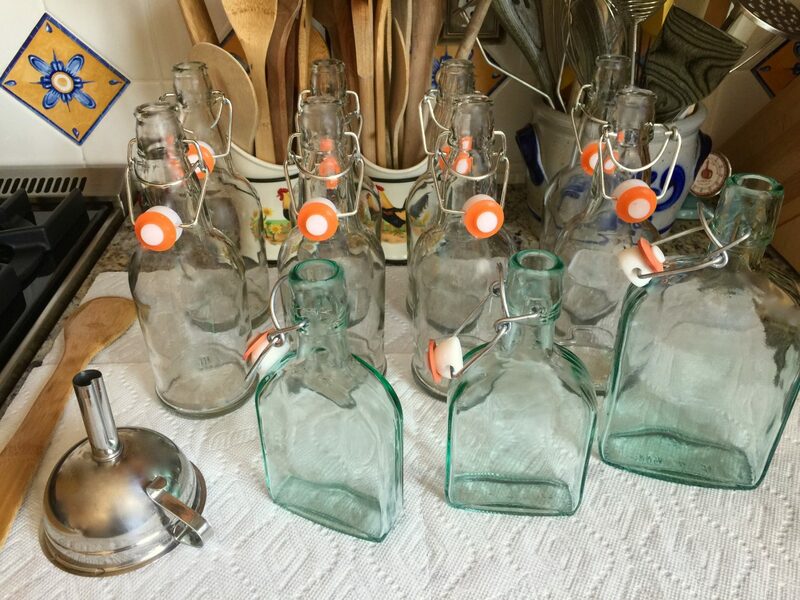 Use a funnel to fill the bottles with syrup and close them immediately. 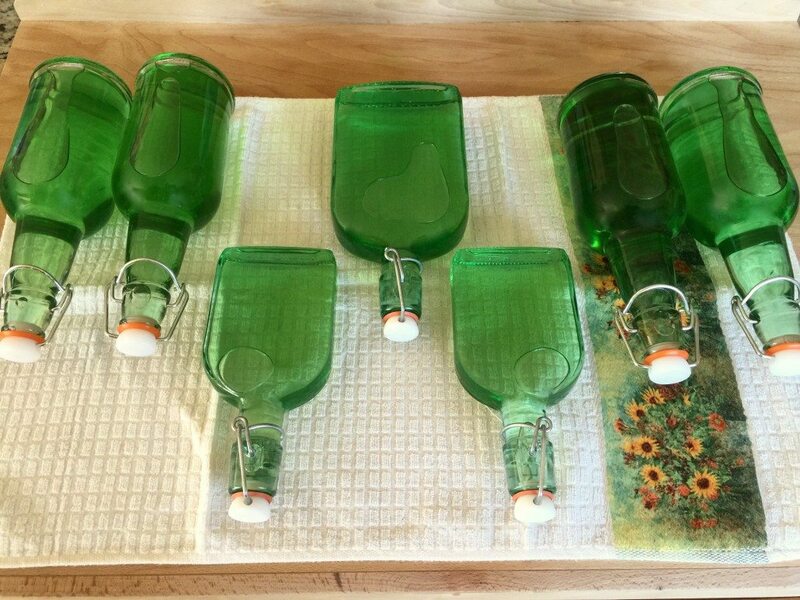 Lay the bottles flat on a kitchen towel and let the syrup cool. There are several ways to use the syrup. Drizzle it over desserts e.g. vanilla pudding, ice cream, or cakes. You can even add the syrup to an icy glass of sparkling water for a refreshing dring full of flavor.